Washington (AFP) - The US Senate passed a $1.3 trillion federal spending bill in dramatic dark-of-night fashion early Friday, overcoming hurdles that threatened to send the government into its third shutdown of 2018. Lawmakers stared down a self-imposed deadline of midnight Friday, when federal funding was set to expire, and passed the mammoth package by a vote of 65-32, with hours to spare. With the House of Representatives comfortably passing the bill Thursday, it now goes to the White House for President Donald Trump's signature, as lawmakers began their escapes from Washington to start a two-week holiday. The bill was introduced late Wednesday after weeks of haggling, leaving lawmakers mere hours to peruse and vote on a mega-bill that will touch every aspect of American life. Defense spending levels for this fiscal year ending September 30 were set at $700 billion, an increase of $61 billion over the 2017 cap. Non-defense domestic spending will reach $591 billion, a hike of about 10 percent. Even though Trump had given his blessing to the bipartisan deal, the 2,232-page bill's fate in the Senate was up in the air throughout Thursday, with one of Trump's fellow Republicans, Rand Paul, threatening to stall the voting process. 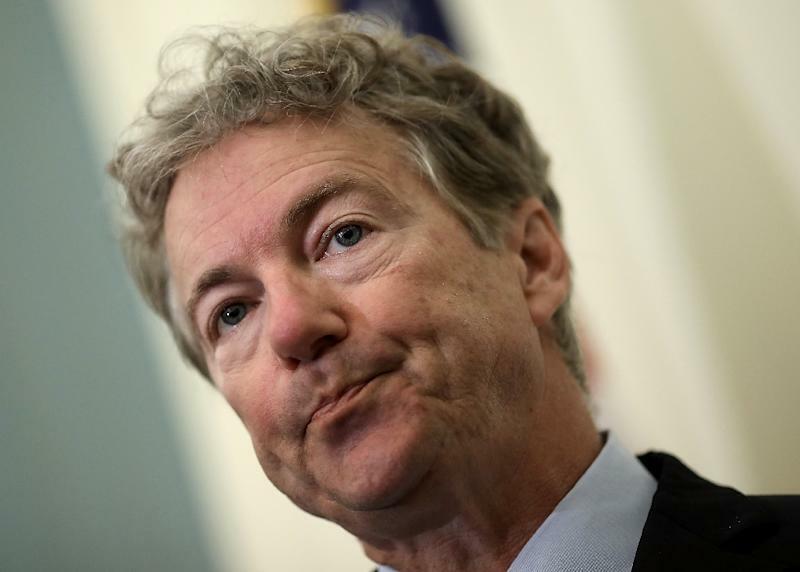 "I think you ought to read the bills before we vote on them," Paul told Fox News. "I've been working all day diligently through the bill and I'm up to page 600." Under Senate rules any member can object to rapidly moving legislation through the chamber. He did not hesitate to slam the secretive process, however, or his party's role in blowing up the federal deficit. "Time and again, spending skyrockets, and conservatives are expected to fall in line to praise the party for making the big-spending status quo worse." In addition to Paul, Senate leaders had to fight another personnel fire behind the scenes, with Idaho Republican Jim Risch fuming over language that would rename the White Clouds Wilderness in his state for ex-governor Cecil Andrus, a Democrat. Andrus, who died last year, was a longtime political rival of Risch. The senator voted against the bill. Establishment Republican leaders praised the legislation. 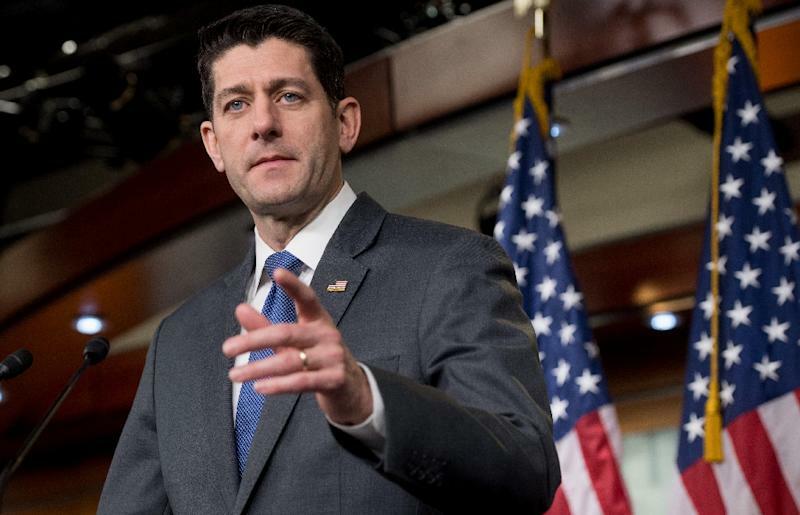 House Speaker Paul Ryan called it a vote "to rebuild our military, secure our borders, and give our service members their largest pay raise in eight years," while Democrats sounded pleased at the outcome of negotiations. "Overall, we Democrats are very happy with what we were able to accomplish on a number of priorities to the middle class and America, including infrastructure, education, opioids, mental health, and child care," Senate Minority Leader Chuck Schumer said. The White House acknowledged it did not fulfill all of its wishes, but said Trump was ready to sign on. "Is it perfect? No," acknowledged Mick Mulvaney, the director of the Office of Management and Budget. "Is it exactly what we asked for? No." Triggering a third government shutdown of the year would have been a deep embarrassment for the Republican-led Congress ahead of mid-term elections in November. The spending bill had become a political battleground, as it included -- and in some cases excluded -- politically charged provisions known as riders which ramp up the level of controversy over the legislation. It provides $1.6 billion -- far less than Trump wanted -- for border security and construction or repair of nearly 100 miles (160 kilometers) of border fencing and barriers, boosts infrastructure spending, and increases funds for student grants. But in a major blow to Democrats, it fails to include protections for undocumented immigrants who arrived in the country illegally as children. And it leaves out a long-sought provision to stabilize the health insurance market by funding subsidies that could lower rates for low-income families by 40 percent. That negotiation apparently broke down over disputes about abortion-related language in the bill. "I'm extremely disappointed," said the provision's co-author, Senate Republican Susan Collins. Among the sensitive issues included is gun safety, which has been a national focus following multiple school shootings, including one in Parkland, Florida that killed 17 people. One provision strengthens compliance with background checks for firearm sales, and another reverses what has essentially served as a ban on federal research on gun violence.